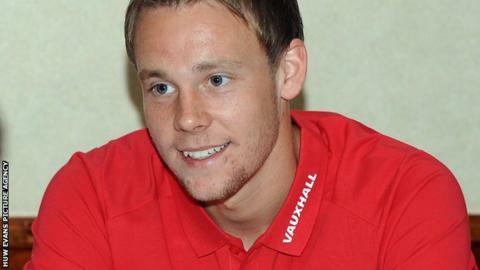 Chris Gunter believes Wales are in the best position for many years to qualify for a major tournament. Wales have not reached the finals of a World Cup or European Championship for 54 years. Chris Coleman's Wales side open their Group A World Cup qualifying campaign for Brazil 2014 against Belgium at Cardiff City Stadium on Friday. "I think we are in as good a position as we have been for a while," said Reading full-back Gunter. "At the start of every group there needs to be a lot of hope, confidence and belief, or there is no point trying. "We have had a good year, on the whole, with results and performances. "Players and staff will tell you it's the best shape we have been in going into a qualifying group for a while. Certainly since I have been involved, or maybe longer than that. "Hopefully, we can get off to a good start and then kick on and set the ball rolling." Wales have lost all three friendly games without scoring a goal since Coleman was appointed Wales manager in January. Their preparation for Belgium has been disrupted by the loss of Craig Bellamy (calf), Neil Taylor (ankle), Joe Ledley (groin), Andrew Crofts (ankle), Wayne Hennessey (knee), David Vaughan (ankle) and Jack Collison (knee). Gunter, though, downplayed the impact of Wales' injury problems ahead of the meeting with group favourites Belgium. "Injuries are going to happen," he said. "This time next month we are going to be away [in Croatia] and there will probably be different people out. "There are always injuries and that's why you put a squad of 23 people together." Ticket sales have been slow for Friday's match in Cardiff's 26,828-seater stadium. Fewer than 15,000 tickets have been sold so far and Gunter has urged Wales fans to show their support. "I think the message from everyone in this camp would be to come out and support us. Fans don't know how much of a difference they can make. "If we can get as many fans in as possible backing us, it would help us like they wouldn't believe. "Hopefully they'll come out and support us because there would be nothing better than reaching Brazil."